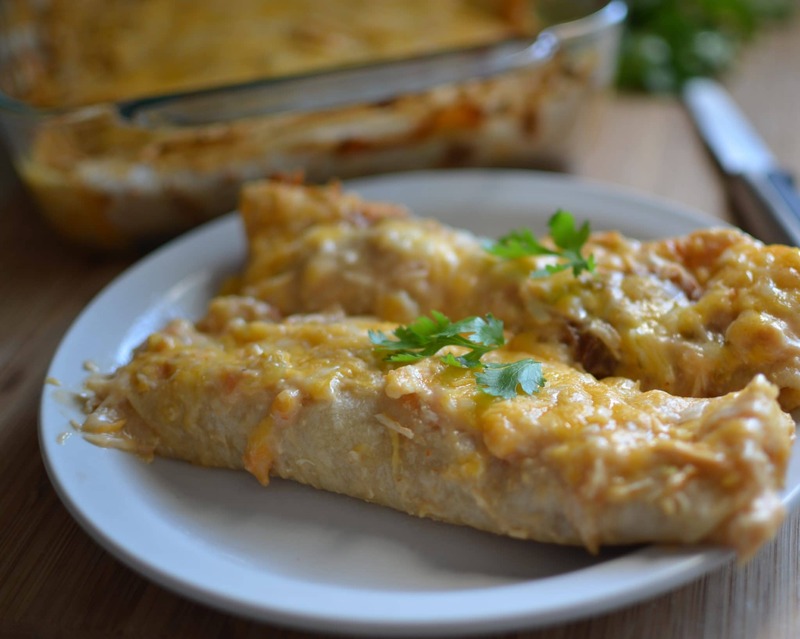 Comfort food creamy chicken enchiladas; easy, quick, and yummy. Last Thursday I woke up feeling a little sick, but hoped it was just allergies because I’d had the same feeling before on high pollen days (congestion in my head and nose, sneezes, dry throat). And then Thursday night we went to see Dark Knight Rises. The midnight premier. And the movie was absolutely amazing. Probably the best in the series. But seeing a movie at midnight is not so amazing. We got home around 3:30 (because its a long movie and we went up to S. Jordan so we could see it in IMAX). I didn’t know what would make me feel better, getting 8 hours of sleep but sleeping till 11:30, or getting 5 or so hours of sleep and waking up at a slightly more normal time, 9:30. I went with plan B.
Friday was a normal Friday for me, though I felt too weak to run on the treadmill like I normally do. A hot shower helped wake me up, and helped clear my sinuses a little as well. Work was normal, still felt a little funky all day but figured it was from my lack of sleep or allergies again. Saturday morning I started to feel a little worse. I woke up about 4 or 5 times in the night with a fully stuffed nose and consequentially a dry throat. We painted our garage door, front door and a column at our home a gorgeous navy blue color, but besides that it was a lazy day. About half way through the day my voice was scratchy. Luckily, my throat still doesn’t really hurt, its dry, but swallowing isn’t painful or anything. I’m still congested. I’m still sneezy. But as the day goes on I feel better (I think I always feel the worst in the mornings when sick). Nate woke up this morning feeling sick as well, and may have had a fever in the night. I’m thinking its just a common cold (cross your fingers). Now to my point. When you’re sick, whats your comfort food? Luckily because my throat doesn’t hurt I don’t just have to stick with soup and orange juice (though we do have some orange juice and its so good.) And its always a problem when you have a stomachache kind of sickness cause you don’t want to, or can’t, eat anything. So thankfully I’m just a little froggy and a little groggy kind of sick. And this meal was a perfect one to comfort me. And here’s my version, I think the same as my mom’s. Delicious. Preheat oven to 350 degreed. Put cream of chicken soup, chicken, green chiles, salsa, sour cream, salt, chili powder and 1 cup of cheese in a medium sized bowl. Lay out a tortilla and scoop about 1/4 cup of chicken mixture down the middle. Roll up and place in a sprayed 9×13 inch pan. Sprinkle with remaining 1 cup of cheese. **Depending how tightly together you place them, we had 8 enchiladas in a 9x13 pan and 4 in a 8x8 pan. What kind of salsa would you use? I usually use pace, but I’ve used chachies mango salsa and some others too. Anything should work. 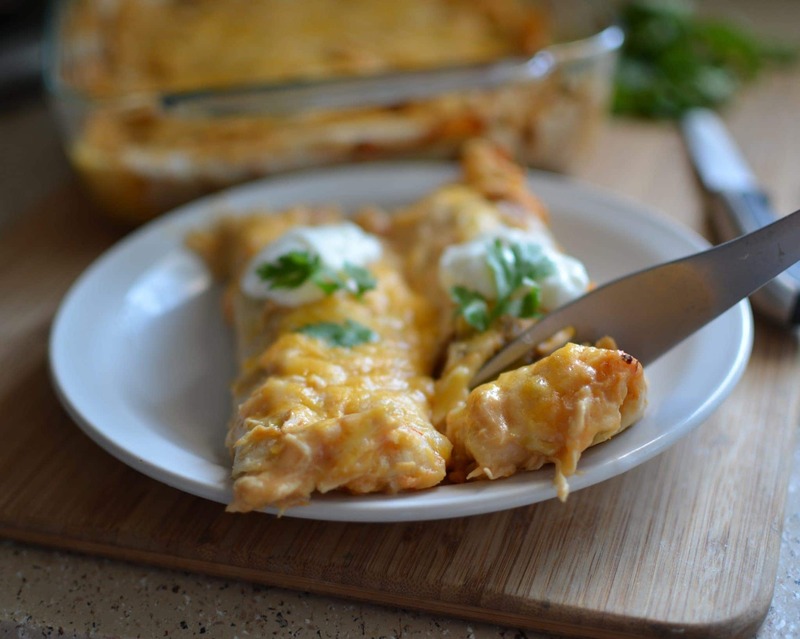 What’s the correlation between Mormon and chicken enchiladas? Just curious. Recipe looks relish! I just think it became a popular mormon food because its easy and filling. Not sure where it started. But I assumed most other people ate enchiladas with like a mexican red sauce. I just discovered your blog! Awesome!! 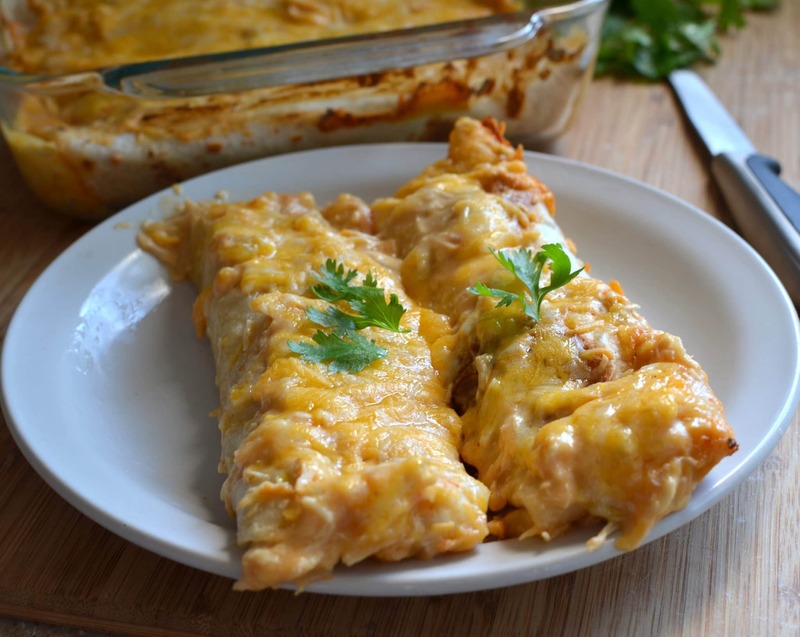 I make these EXACT enchiladas and my hubby loves them. They are super easy and super yummy! Way to go on being a painting fool! My husband doesn’t trust my painting skills so I never get to test my hand in painting.